The Harlow 5 by Prieb Homes - Grand Entry With Stone Elevation, Two Story Vaulted entry, spacious Great Room with fireplace open to Kitchen w/Granite Island & countertops. Stainless Steel Appliances, Walk in Pantry, Dry Bar between Dining Room & Great Room. Covered Patio off Breakfast Room. 1st Floor 5th Bedroom or Office, Full Bath, Mud Area w/Boot Bench off garage.All secondary Bedrooms have Vaulted Ceilings & Jack & Jill or Private Bath. Laundry accessible from Huge Master Closet or Hall. Directions: K-7, West on Prairie Star Parkway, North on Shady Bend Rd. into Arbor Lake Subdivision. Follow the Signs to the Welcome Center. 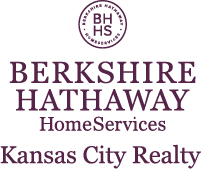 I am interested in 24727 W 92nd Street, Lenexa, KS 66227.